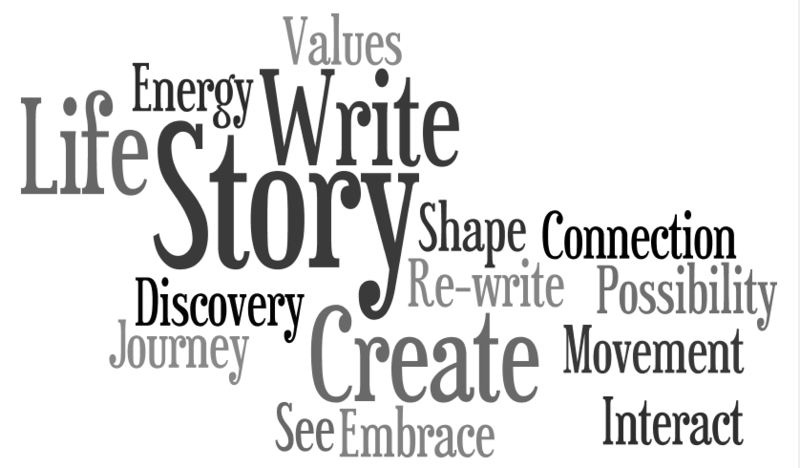 My wonderful new coach has helped me realize the power of stories in shaping my life. As I step into the adventure of my new job at IBM, I am discovering new things, connecting with new people, and moving into places I’ve never been before. On this path, I’ve noticed that I feel most alive when the stories I tell myself align with my values and what I want to create in life. I’m seeing that every day, in almost every interaction, somewhere inside, there is a story…perhaps it is about why I’m on this journey, or about what’s possible, or about where things are going…I’m consciously tuning in, evaluating the story, and either embracing it or rewriting it. Here are the kinds of questions I am asking myself. Perhaps you want to try them as well? What stories do I tell myself? What stories do I share out loud with others? How do these stories serve me? How do these stories zap my energy and limit my power? What do I like about my stories? What might I change in the stories I tell? Observe my stories. Notice when I tell them or speak them. Don’t judge, just look at the stories for awhile. Then, after getting a sense for when and why I tell stories, gradually begin to evaluate my stories. Notice how they feel to me, what they create for me and others. Once I have a sense for what these stories create in my life, begin to write new stories. Determine what it is I want and what story best supports it. Get colorful and creative. When I feel energize and alive by the story, I’ll know I’ve got the right one. CHOOSE MY STORIES. Listen to myself – catch myself saying things that don’t ‘feel right’, that create some discomfort or resistance, and ask whether what I said is really true, whether that’s really what I want to believe. If not, make up a new story and write it down.